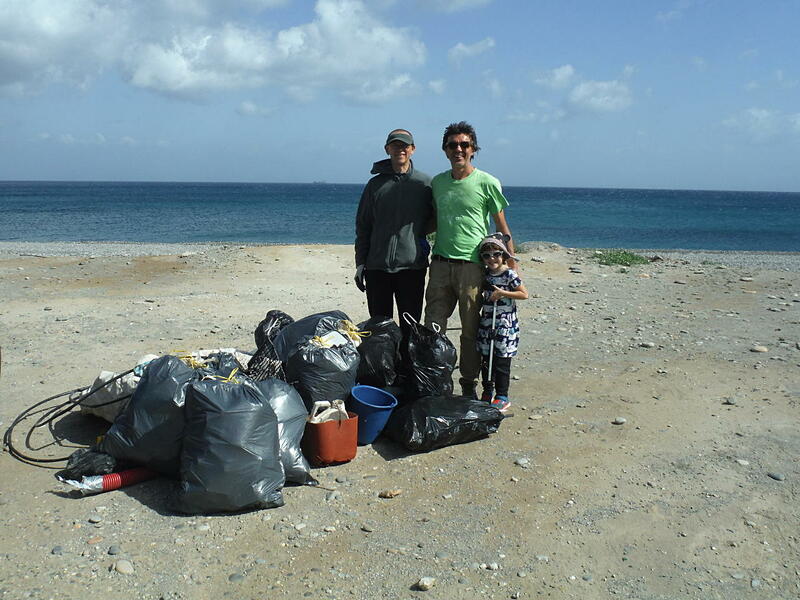 A successful morning cleaning the beach in Kolymbari. A great job by the small team: 14 bags of rubbish collected, plus some spare watering pipes, mega construction bags and other spare bits. ← Sandstorms & strong winds in Kissamos!